With week two of the UEFA Euro 2016 coming to a close, VOX cinemas has announced that it will be screening the biggest games of the season in its outlets across the Middle East. The cinema outlet has partnered with sports broadcasting television network beIN to showcase the games in the UAE, Oman and Lebanon. Football fans can watch the quarter-finals – which will take place between June 30 and July 3, the semi-finals on July 6 and 7 and the finals on July 10 on the big screen. The games will be screened from 11pm onwards in the UAE and Oman and from 10pm in Lebanon. Tickets for the game viewings will be priced at Dhs 60 for standard, Dhs 70 for VIP and Dhs 80 for balcony sections and can now be bought online. VOX Cinemas, the entertainment arm of Dubai-based retail conglomerate Majid Al Futtaim, currently operates 16 outlets in the Middle East, including 13 in the UAE. The outlets add up to a total of 175 screens, with 143 screens in the UAE, 17 in Oman and 15 in Lebanon. 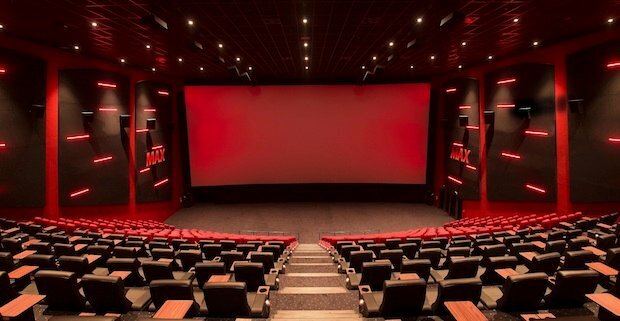 The cinema group’s most recent development, the largest screen in the Middle East, opened last month at VOX City Centre Deira. This will be one of the many outlets broadcasting the football matches this season.